Institutional investors may attend the meeting or authorise proxy to attend the meeting and vote on all important resolutions of the meeting. 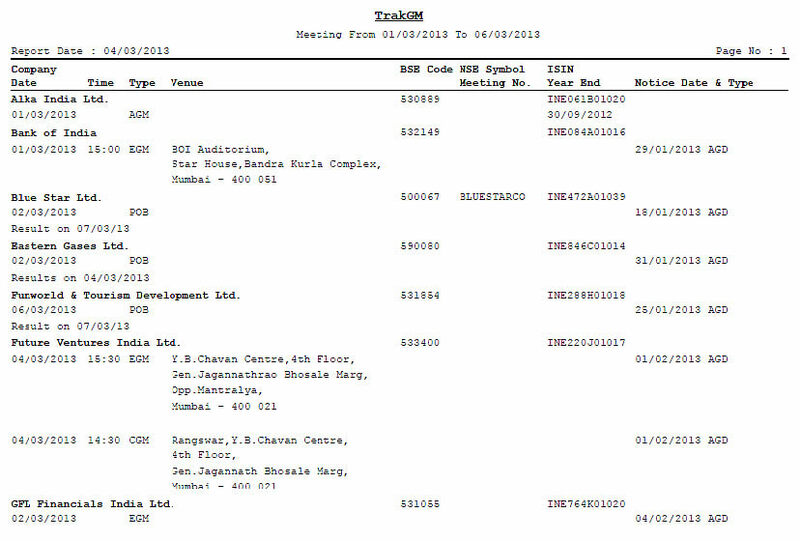 TRAKGM will provide investors information on meetings dates, venue and agenda of meeting. TRAKGM helps institutional investors (Mutual Funds, Insurance companies, Financial Institutions etc) to comply with the regulatory guidelines of mandatory voting requirement in shareholders meeting & postal ballot. ballot voting. Portfolio features will alert the TRAKGM user about the forthcoming meetings and postal ballot for the companies available in their portfolio. Daily change report will alert users on new meetings & postal ballot dates as well as new agenda and resolution announced by the companies. 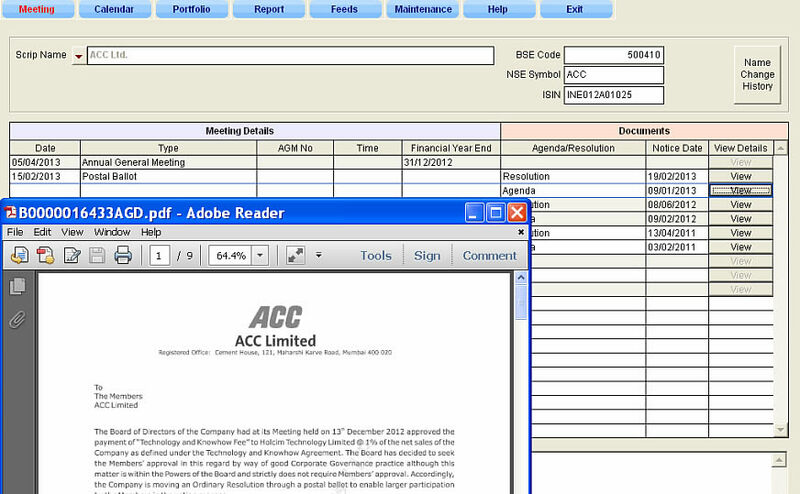 Easy access to notices, agenda and resolutions of meetings and postal ballots. Copies of meeting Outcome and postal ballots can be downloaded. AGM, EGM, Court Meeting and Postal Ballot. Meeting date, time, address and financial year end. Downloaded notices can be saved and shared with others. Information provided in advance giving shareholder time to decide on how to vote. 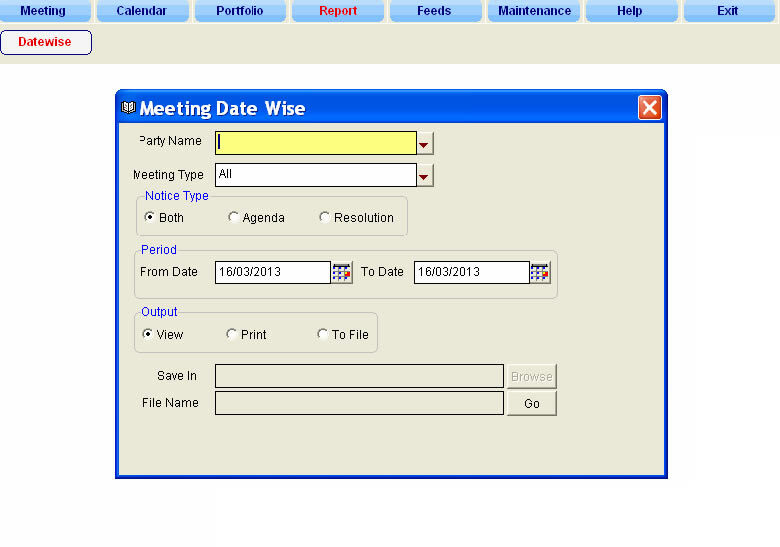 Portfolio feature to keep track of chosen securities in the portfolio. Never miss an important date. 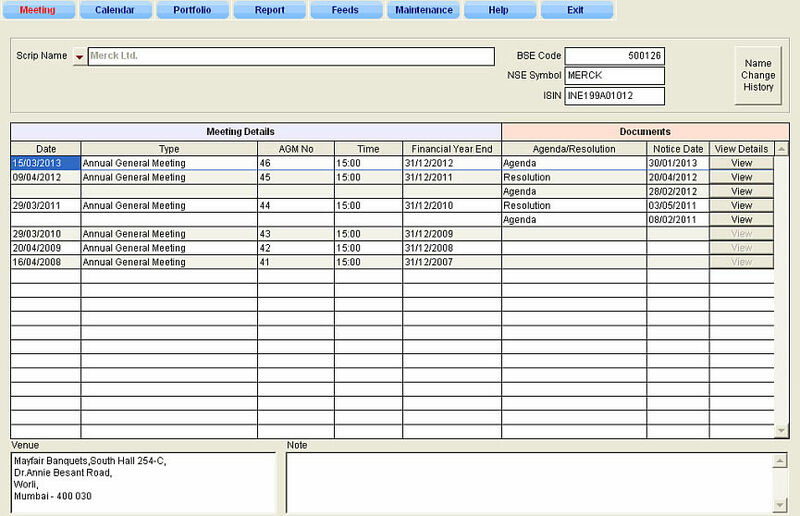 Calendar functionality to keep track of upcoming meeting and postal ballot. New meeting agenda announced by the companies.